Hardscape materials are incredibly versatile; coming in different sizes, colors, and shapes. The possibilities are endless when you get creative. 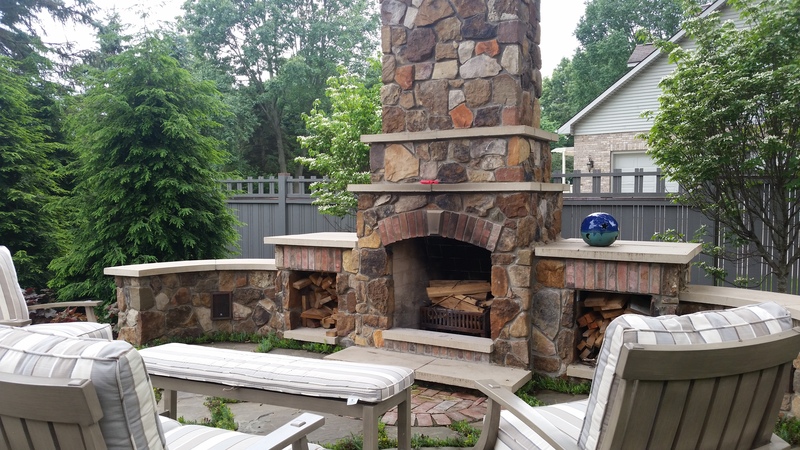 We use a ton of different hardscape materials, New York bluestone flagstone, large outcropping rocks, small and large patio pavers…it can be hard to keep track of all the different hardscape materials we use. Here we will show you our top three unique ideas using hardscape materials for your outdoor living space! No, not your whole driveway (unless that’s what your looking for), but edging your existing driveway, or the very end of the driveway. Edging your driveway with patio pavers is an excellent way to expand your driveway space and also sharply increase curb appeal. Use patio pavers horizontally or vertically to get the increased space and design your in search of. Consider using two different colored pavers to create an unforgettable look. Seat walls are a great way to increase the seating area in your outdoor living space. Consider adding a seat wall around your existing patio, a new fire pit, or even as a ‘fence’ along the sidewalk. A bench is another unique idea when using hardscape materials. 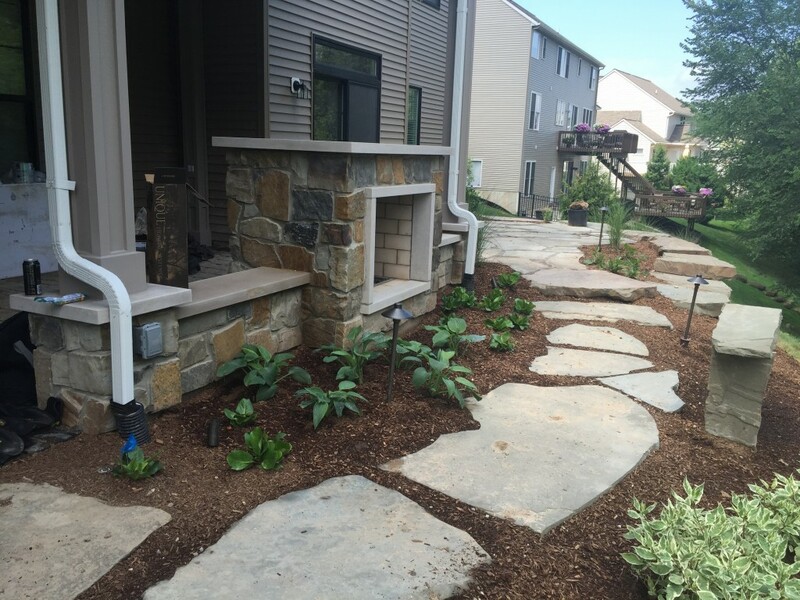 We have built benches out of New York bluestone flagstone, which add a rustic element to your landscape. If you have the room you could think about adding a built in seating/bench area to your outdoor space. Fireplaces and firepits may be a bit obvious and maybe you think not very unique, but hold on. Your fireplace or fire pit doesn’t have to look like all the others built out of hardscape material. Consider using large flagstone pieces, placed vertically in the ground for the perimeter of your fire pit. And if your looking for an outdoor fireplace, change up the colors, and add a contrasting line or two, maybe even choose a paver with a different texture to get the unique look you’re in search of. Have a look at some additional projects for more ideas, or contact us today if you’re ready to get your next project started!